If you are as much of a coffee addict as most of America is then you know that getting the coffee fix on the road can get very costly. I hope to impart a few inexpensive ways to get your coffee fix while traveling. Please note, if you are passive or an occasional coffee drinker, this article may not make sense to you. 2. Starbucks Tip Two - If a plain ole cup of joe isn’t for you. Try ordering a double espresso over a grade cup of ice. Then, at the condiment bar, add milk to your liking and you will have an iced latte. This will save you over $2 off the iced latte price at the counter and it is the same drink. Tip: some Starbucks no longer put out milk and you have to ask the barista for the milk…that can be a little awkward at times. 3. Starbucks Tip Three- This is a variation of tip number two. If you really can’t go without your sweet treat coffee, try ordering a double espresso over a grande cup of ice and add 2-4 pumps of your favorite flavoring. I usually add 2 pumps white mocha. When you get your drink, add milk. You now have an iced white mocha. This again saves you about $2 off the white mocha counter price. 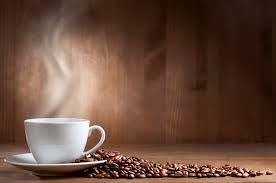 If you are traveling on a road trip or just out for the day bringing or making your own coffee is usually the cheapest option for getting your fix. There are a few economical ways to do this. 1. The easiest if you are out for a day trip is to make your coffee at home and pack it in a thermos. Another option if you do not have a thermos is to make your coffee and pack it in an ice chest and have iced coffee. 2. If you are road tripping or camping coffee can be a little trickier to come by or your hotel coffee is just horrendous. I would recommend making three small investments up front in order to save in the long run. The first investment would be in a portable gas stove. These can be purchased rather inexpensively on amazon and fuel is not very expensive. The second purchase is a portable tea kettle for boiling your water. This is not an essential purchase as you probably have something at home that you can already use. But, it can be nice to have a light compact kettle for traveling. The third part of your investment comes in a few forms depending on your fancy and cost preference. The cheapest option is to by a plastic pour over and filters. The next cheapest would be an AeroPress or French press. I would recommend the AeroPress as it makes a superb espresso shot that can be made into an americano, if desired. With these thee inexpensive investments, you can make your coffee anywhere at any time for a fraction of the cost. You also get the benefit of using your favorite roast from your favorite coffee shop (or Costco in my case). Total cost to get setup is approximately $57. If you spread that cost over the next 10 years it comes out to about $6-7 a year depending of fuel usage. Cost of coffee is not factored into this total because it will vary based on consumption. Happy sipping and saving on all your coffee travels. Missouri rv dealer Thanks for the article. Great. This implies they ought to UKdistance embrace portable arrangements where look choices, travel cautions, ticket reservations and so forth can be gotten to rapidly, effectively and in a hurry. All in all prepare. Fill out the forms properly, well ahead of time. Pay and fees, attend any necessary meetings. Be on time. Lastly always be truthful. Visit Ben's Travel, Food, and Photography's profile on Pinterest. BMW Photography. Picture Window theme. Powered by Blogger.